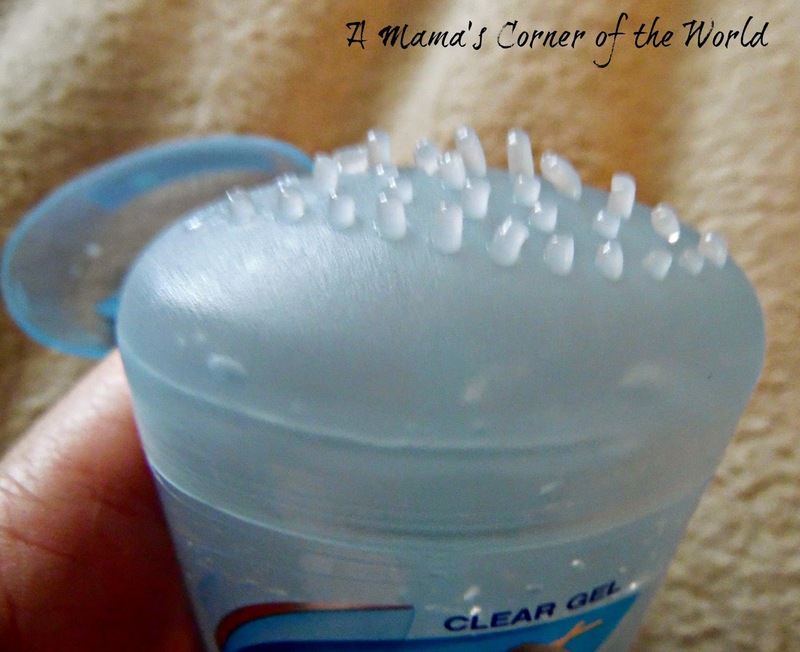 Is Secret Outlast® Completely Clean Clear Gel #ClearlyBetter? We experience some long busy days here in our little corner of the world. Most weekdays begin around 4 a.m. and come to a close way too close to midnight. With the girls’ extra-curricular activities, school work, errands, combined with my own work day, meal prep, and random household projects—there is a lot of running about during the day. Deodorant is one product that simply cannot let me down during my day. I have used Secret brand deodorant most of my adult life. I recently had the opportunity to sample and review the new Secret Outlast® Completely Clean Clear Gel. The product claims to offer 48-hour odor protection—without white marks. How did Secret Outlast® Completely Clean Clear Gel standup to my review? I received a complimentary sample of this product via my affiliation with BzzAgent. All opinions and experiences are my own. What makes Secret Outlast® Completely Clean Clear Gel different from other gels or invisible solid deodorants? The manufacturer claims that the water based formulation of Secret Outlast® allows the product to dry in seconds, allows the active ingredients to penetrate sweat glands faster and more efficiently than invisible solids. The product is rub off resistant—making it less likely to leave tell-tale, white, deodorant marks on dark clothing. The pH of Secret Outlast® Completely Clean Clear Gel minimizes odor-causing bacteria for longer-lasting, 48-hour odor protection. How did Secret Outlast® Completely Clean Clear Gel’s claims standup to review? Is Secret Outlast® Completely Clean Clear Gel fast drying? I have issues with gel deodorants. The wet application is not comfortable for me—and often I feel like I stay wet all day when I use them. Secret Outlast® Completely Clean Clear Gel does go on very wet—and cold. After the initial icky feeling—I think I began to dry in a few minutes (it wasn’t really seconds). It took probably 10 minutes before I felt fully dry and ready to move on with my morning. I did; however, feel dry throughout the day. Follow the directions—literally one twist and a swipe under each arm—otherwise, you apply too much and drying time slows down even more. Is Secret Outlast® Completely Clean Clear Gel rub-off resistant? After several days of use, with different shades of clothing, the product did seem rub-off resistant. No white marks or discoloration on any of my clothing. Did Secret Outlast® Completely Clean Clear Gel offer 48-hour odor protection? I think it may actually last 48 hours. I applied it on a Friday morning—and skipped Saturday since we were planning a day of catch-up at home. I did some yard work and housework on Saturday morning—and spent a lot of time in the (hot) kitchen on Saturday with a few kitchen projects. The odor protection seemed to last through the day. I probably wouldn’t risk it if I were going out and about or working out—but, for a day at home, I was okay with skipping it. What about the health and safety of the product? I use a lot of natural, organic products—but, struggle with finding an effective, all natural deodorant. I know that there are risks to traditional deodorants—and would love to see Secret lower some of its product risks. The Environmental Working Group classifies Secret Outlast® Completely Clean Clear Gel as a “moderate risk”—level 4. The product’s fragrance seems to create much of the product’s risk--but, you can check out the EWG product rating online for details. Completely Clean “scent” is very mild--not overpowering. Doesn’t leave white, deodorant marks on clothing. Wet, cold and sticky upon application. The product takes a bit longer to dry than the seconds that the product suggests. Moderate Risk product according to the Environmental Working Group. 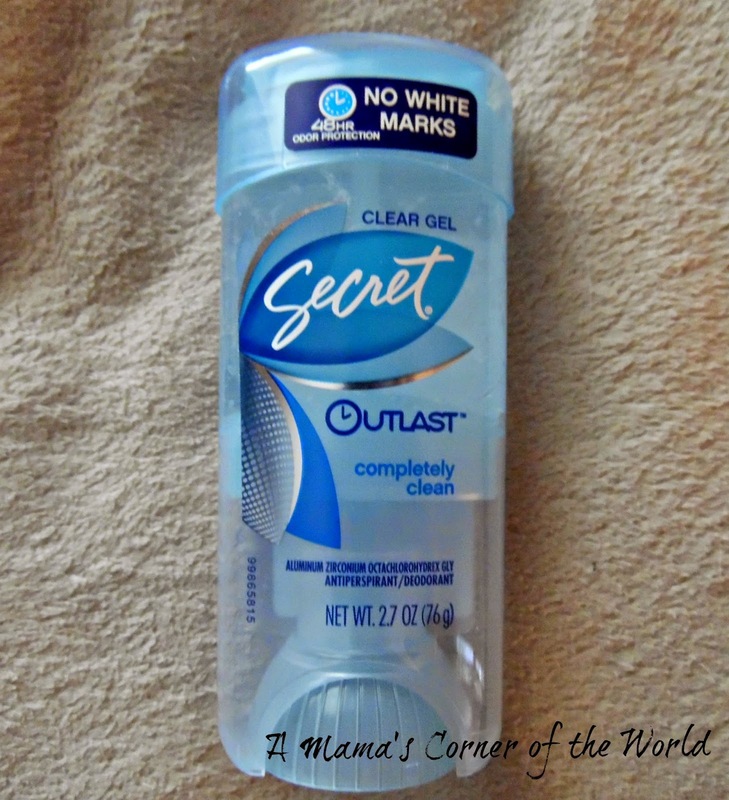 Would I recommend Secret Outlast® Completely Clean Clear Gel deodorant? Both the fragrance and the effectiveness of the product were acceptable. I didn’t enjoy the feel of the product during application—but, I’ve used dry solid deodorants for years, and I think it’s a textural issue to which I could become accustomed. I do like the potential of an every-other-day deodorant application—I just look forward to a time when the product’s health and safety risks lower. I would use it again—especially to get multiple days from one application. Disclosure: I received a full sized product sample for use in this review from BzzAgent. All opinions and experiences are my own.